The other day, while I was at an outdoor team building activities by our company, we spotted something more interesting just next to us! These guys are playing with Paintball! The pictures look green because these people are all behind a big huge green netting. 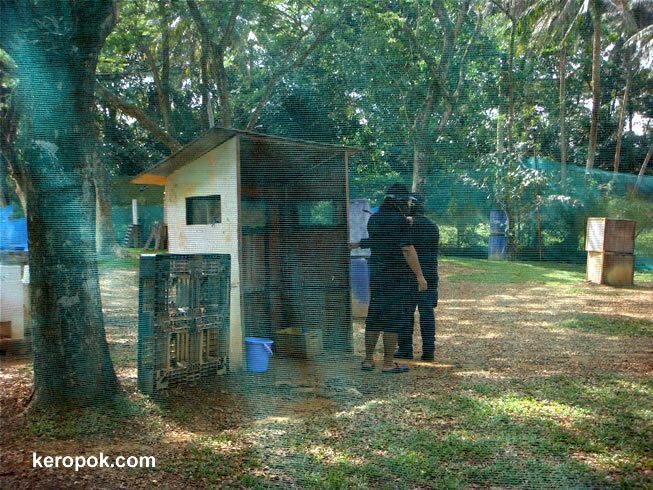 These people are hiding behind the hut. Looks fun ya? Have you played something similar before? Should get some friends to organise a trip down. I have played laser tag, but never paint ball, that would be a hoot. When the photo was taken, it was in Orchid Country Club. I am not sure if it is still there. 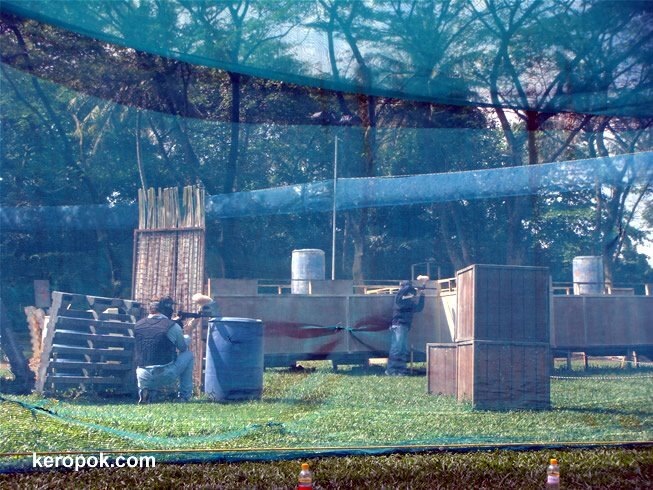 you can do an online search for 'paintball singapore'. Hope that helps.